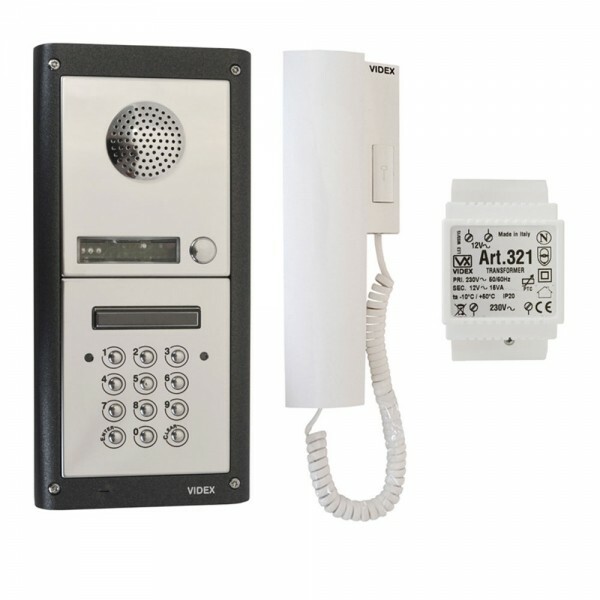 The Videx Audio Kit DK8K-1S Key Pad is a one way kit by Videx which includes a surface mounted door entry panel that has an easily programmable access control keypad with three relays. The door lock release is triggered by entering the right access code, each between four to eight digits long with a maximum storage of three user codes. The Smart line handset has a large door lock release button, which is easy to use by all. It also features three level volume control for the incoming call and up to two handsets can be installed in the same apartment.